Ty Dillon held off a wild charge by Clint Bowyer on a two-lap restart to take the Stage 1 victory at Bristol (Tenn.) Motor Speedway. Bowyer led on the restart after a late-stage caution but Dillon went to the outside and nipped him at the checkered flag as they raced side-by-side. Brad Keselowski was third, Joey Logano was fourth and Jimmie Johnson was fifth. Also collecting stage points were Kyle Busch, Ryan Blaney, Paul Menard, Martin Truex Jr. and Chase Elliott. 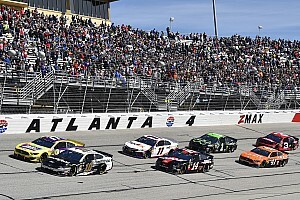 Elliott, the pole-winner, led the first lap and as Kevin Harvick was starting to serve his pass-thru penalty on pit road, Kyle Busch, Aric Almirola, William Byron and Ricky Stenhouse Jr. got involved in a wreck on the backstretch which brought out a caution. The caution saved Harvick from going more than one lap down. Almirola’s damage was so severe he could not return to the track. On the restart on Lap 8, Elliott led the way followed by Erik Jones and Bowyer. 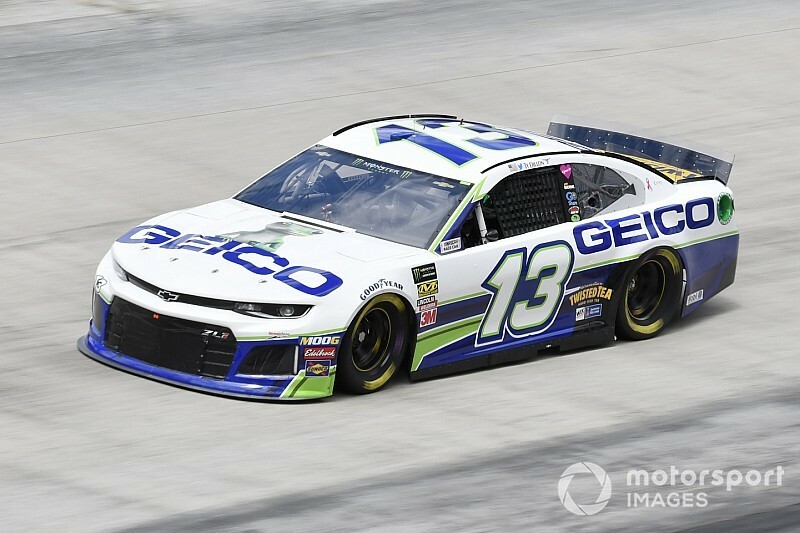 With 90 laps remaining in the first stage, Elliot had built a more than 1-second lead over Bowyer with Blaney in third and Logano in fourth. On Lap 38, Ryan Preece got loose and wrecked while Corey LaJoie got into the back of Elliott, which sent him for a brief spin. Bowyer inherited the lead when the caution was displayed. Most of the lead-lap cars elected to pit with Blaney the first off pit road. Hamlin elected to remain on the track and inherited the lead when the race returned to green on Lap 46. Both Preece and Bubba Wallace were penalized for speeding on pit road and had to restart from the rear of the field. On Lap 49, Jones got around Denny Hamlin to take the lead for the first time. On Lap 53, Blaney moved into the second position as Hamlin dropped to third. On Lap 59, Blaney went to high side of Jones and passed him for the lead off Turn 4. Jones fell off the pace on Lap 64 and dropped to pit road with what appeared to be a tire going down. Hamlin moved into second and Bowyer moved into third. On Lap 70, Kyle Larson had to make a green-flag pit stop for what he believed was a loose wheel. 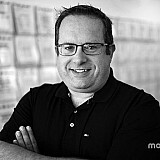 He was also penalized for an uncontrolled tire during his pit stop. 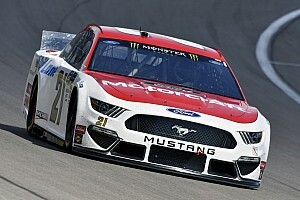 With 50 laps remaining in the first stage, Blaney held a more than 2-second lead over Bowyer with Logano in third and Johnson in fourth. Blaney continued to hold a more than 1-second lead over Bowyer with 25 laps to go in the stage. Logano was up to third and Keselowski was running fourth. With seven laps to go in the stage, Daniel Hemric spun in Turn 1 after contact with Ross Chastain as Bowyer got around Blaney for the lead. Most of the lead-lap cars pit but Bowyer, Ty Dillon and Menard elected to remain on the track. Keselowski was the first off pit road and lined up fourth on the restart on Lap 124. 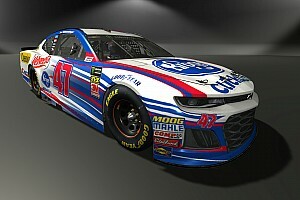 Harvick had to start the race from the rear of the field and also had to serve a pass-thru penalty on pit road after taking the green-flag after his No. 4 Ford failed pre-race inspection three times Sunday. Preece also started from the rear of the field after his team moved to a backup car over the weekend.